The UBT is available to help put on Blood Tracking Seminars and Tests in your local area. 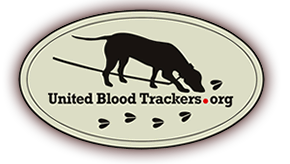 We will supply experienced trainers and judges to individuals or groups looking to generate interest in the United Blood Trackers organization and promote blood tracking in general. If you would like to see a blood tracking seminar or test near you, please contact us and we will help you make it happen.